For Harvey's 2 year birthday, we did a joint party with his pal and bro Luca. The theme, of course, was cars, planes and trains. So we had fun with this and came up with a few ideas. For some strange reason, I decided to "make" the cake. BIG Mistake. I am not a good cook so this was obviously going to be a disaster! The cake was a frozen chocolate cake from COOK (was dry), fondant icing Tescos own (cracked). For the cake topper, I made bunting with "HARVEY" flags and 2 stripey straws. With 2 transport print outs on flower wire. 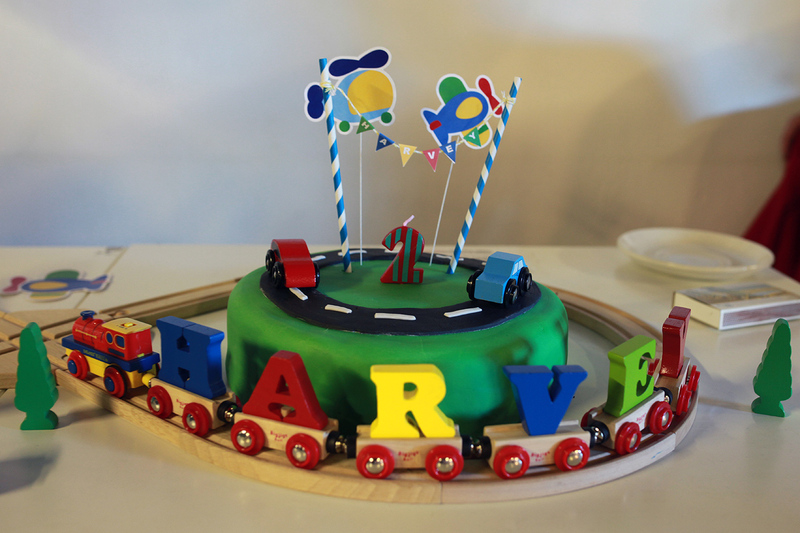 And then used Harvey's toys and train track in a figure of 8 to connect the 2 cakes together. With moving the train of course! But it was hard to keep the little kiddies from trying to play with everything! The illustrations I took inspiration from a Japanese cartoon called the Runabouts. 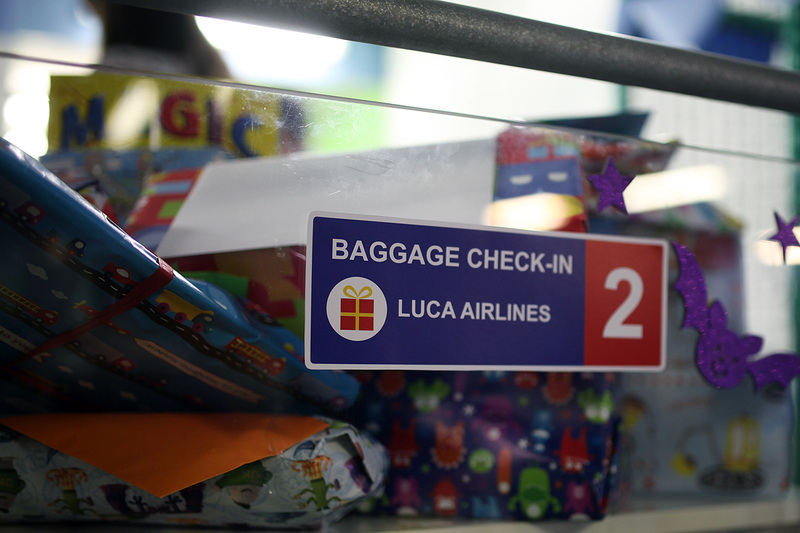 For the gift area I made Baggage Check-In signs with each birthday boy's names. 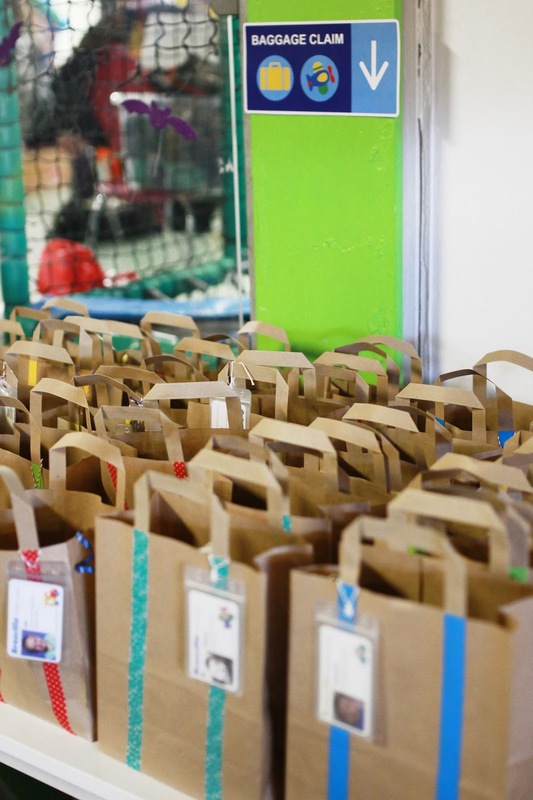 Favours were made to look like suitcases (badly) and had driver licence name tags (each had a photo of each guest). All under the sign for Baggage Claim. 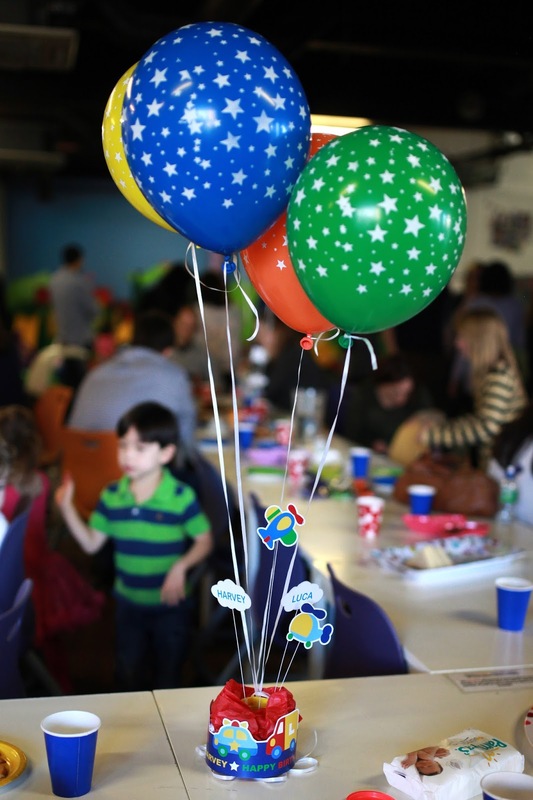 Table decorations were cut outs with cloud names and balloons. 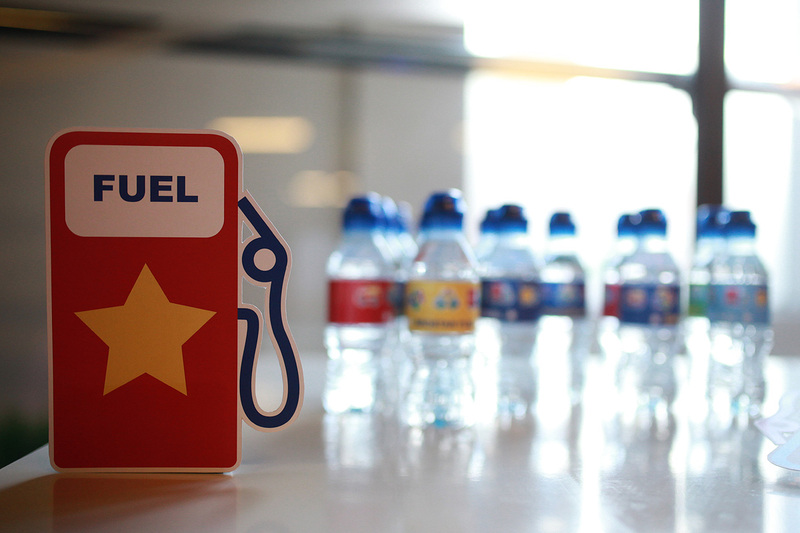 Water bottle fueling station table.